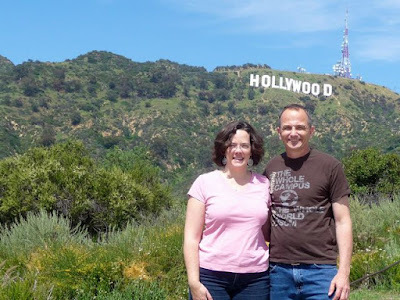 Earlier this year, my wife and I were back in Los Angeles. 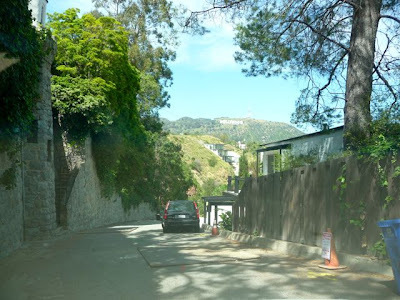 On our way to a walk around Lake Hollywood (the Hollywood Reservoir) we decided to go through the Hollywood Hills below the Hollywood Sign. We got on Beachwood and headed north. These streets were originally planned out in the 1920's and are extremely narrow. 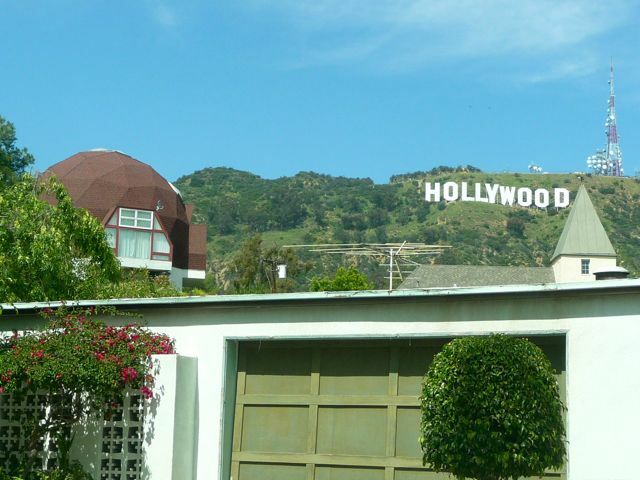 The Hollywood Sign was originally designed to promote the development of these hillside lots and homes. Interesting views of the sign behind some of the hillside homes. 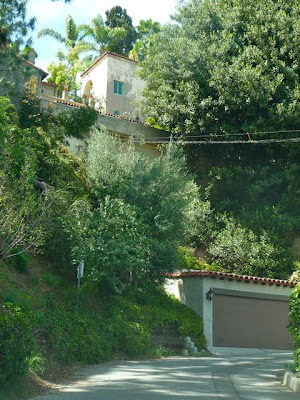 Got to love the 1970's-era geodestic dome to the left . . .
. . . the upgrades on this "mid-century" home . . .
. . . or the Spanish style roof and palm tree. 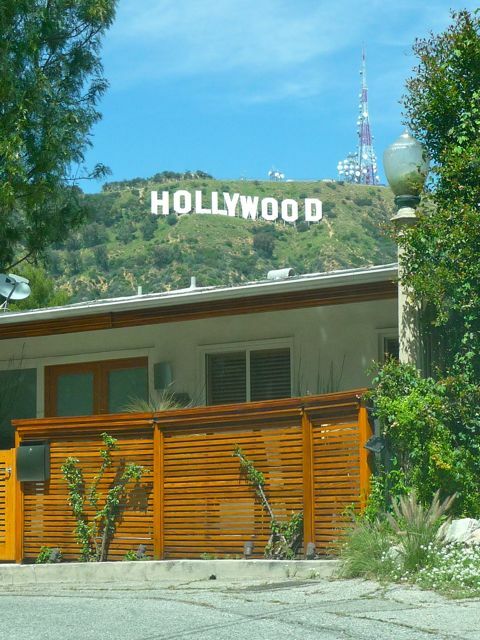 Each one of these homes say "Hollywood" in it's own unique way. It's hard to describe how incredibly narrow and and curvy these residential streets really are: Los Angeles' version of "Mr. Toad's Wild Ride." There are numerous blind curves and places where only one car can pass: if you find yourself in this neighborhood, please be respectful of the community, turn down - or off - any music, and obey all posted speed limits. 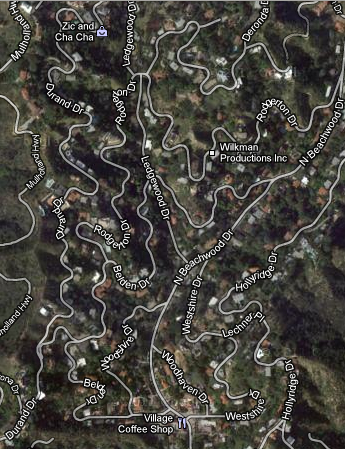 Here's an image from google earth, just to give an idea of how curvy these neighborhood streets really are. If you want the best view of the Hollywood Sign, I'd suggest avoiding the Beachwood neighborhood completely . . .
. . . and heading over to Lake Hollywood Park at 3000 Canyon Lake Drive. 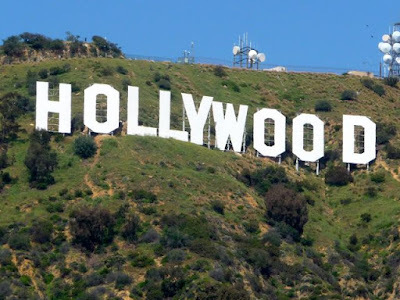 Here's a link to "The Best Place to See The Hollywood Sign" with directions. 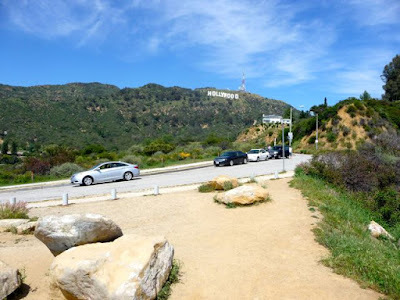 of the Hollywood Sign . . .
. . . Lake Hollywood . . .
. . . and because there are usually a few other tourists at this spot, it's easy to ask a visitor from Europe, Asia, or Iowa, to get you and your group with the sign in the background. Above, my wife and me. The neighborhood around Lake Hollywood Park has significantly wider streets. 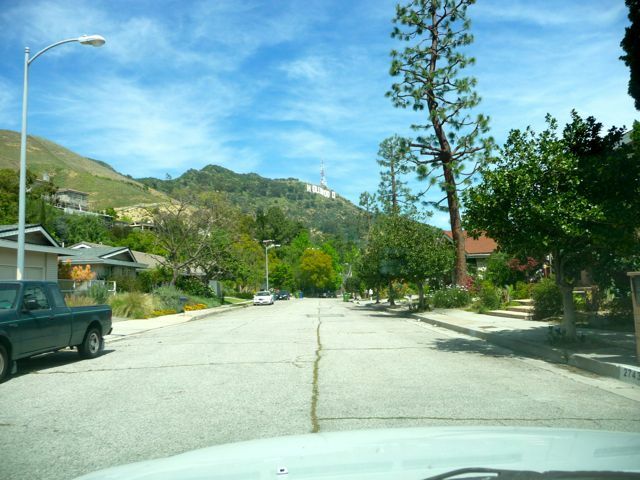 Still, these are residential streets, so if you drive through, please obey the speed limit, keep the noise down, and be respectful of the neighborhood. Last week there was an interesting article in the Los Angeles Times about the HUGE increase in traffic these neighborhoods are experiencing thanks to google maps, GPS, websites dedicated on how to get to the sign, and - yes - blogs like this. Here's a link to the article. 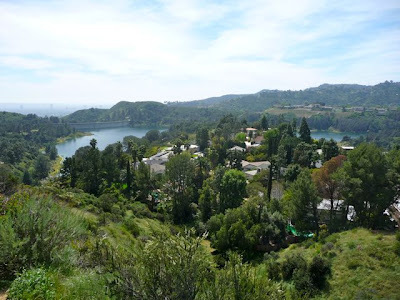 On one hand, these streets are public, as is Lake Hollywood Park. People come from around the world to see the Hollywood Sign up close (pumping millions of dollars into the local economy). 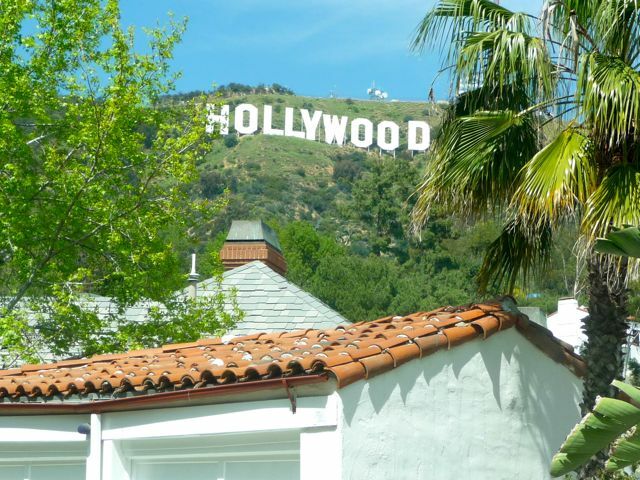 The Hollywood Sign has been around since 1923 - it's hard to believe these residents didn't know what they were getting into. On the other hand, the city could install speed bumps along these residential streets and limit parking to daylight hours. As the sign is NOT lit at night - there's no reason for non-residents to be driving around these neighborhoods after dark. And - unlike what some websites might say - it's impossible to hike to the Hollywood Sign. Here's a link to LAPD's zero tolerance for anyone trying, so don't even think about it. 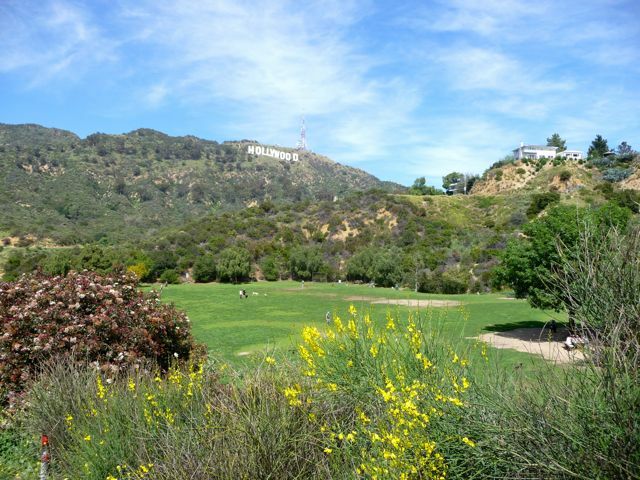 If you want to get "up close" - your best bet is Lake Hollywood Park. The Hollywood Sign is one of Los Angeles' greatest assets, in terms of tourism. Seems like the city should be doing all it can to fully take advantage of this. There's once again talk of an aerial tram from Travel Town to Mt Lee, location of the Hollywood Sign. Up the backside as it were. THAT would be a great idea. 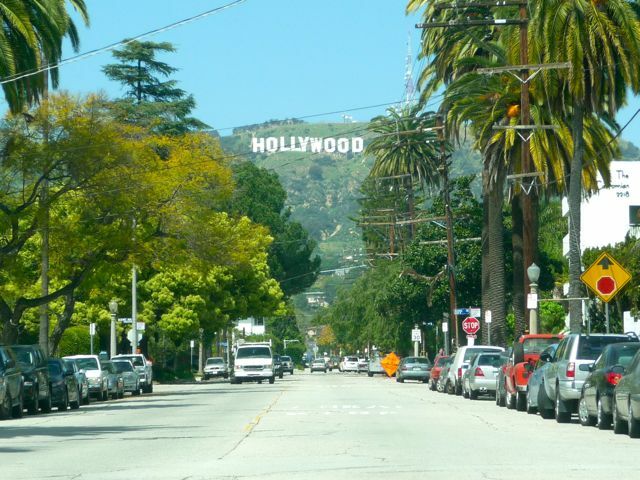 Instead of trying to keeping tourists from residential neighborhoods, how about offering something even better? Get them up there for a real show. 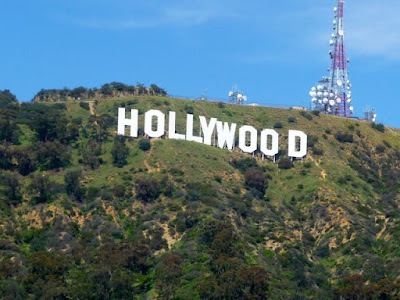 Isn't that what Hollywood does best? 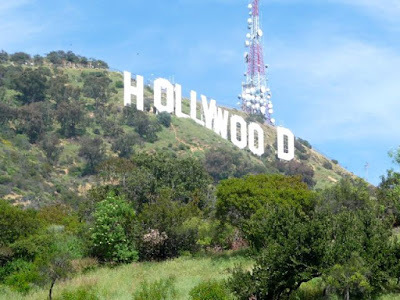 Here's a link to the official website: the Hollywood Sign Trust. nice pics - and you are right about not trying to climb to it (the sign). It's impossible since 2000 - and LAPD isn't playing games. I've heard of several people who've gotten arrested for trying. NOt worth it. And y that the best place to see it up close. 5h3 the streets next to hollywood sign are CRAZY to drive - but pretty fun! I'd like to know if you happen to see celebrities ! ! !